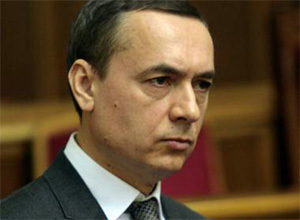 Nikolaj Martynenko, chairman of the Committee on Fuel and Energy Complex, Nuclear Policy and Nuclear Safety of the Verkhovna Rada of Ukraine at its November exhibition "Power & Energy 2010" that was held in Kiev, told readers of EnergyLand.info, what legislative acts Ukraine needs for the effective development of energy complex. For example, there is no adaptation to the European legislation. The first steps towards integration into the European community, Ukraine has already done - has committed itself to adapt its legislation to European standards. In the energy sector on the first place – are topics of energy conservation, alternative energy sources. The next sphere, necessary for the development of our country - production of organic resources on the territory of Ukraine. For example, today a law on production sharing doesn’t work. There are gaps in legislation on nuclear energy. We essentially made up for them over the past 5-7 years. Nevertheless, there are still issues that we must resolve statutory. In particular, it is necessary to link new regulations with tax legislation, and the draft code which is currently being developed. Not urgent issues in the energy sector - questions of regulators. This is what we essentially have to solve. Because the energy market that exists today, unprofitable, it is not directed at energy efficiency. From the next 2011, we will move from the existing market model of bilateral contracts to the balancing market model that will require changes in legislation. There will be other approaches to a national regulator - it needs to be done independently. Today, in fact, this body of executive power, and it's wrong. At the beginning of the summer during the presentation of program of economic devolopment Ukrainian president declared in his intentions, a new model of energy and the nuclear regulator. Relevant projects of legislative acts, called to ensure the functioning of these systems are now being worked out in our committee in the Verkhovna Rada of Ukraine.